90 minutes by taxi from Yamaguchi Ube Airport.7 minutes on foot from JR Higashihagi Station.Chugoku Expressway is 50 minutes by car from Mine IC Chugoku Expressway. 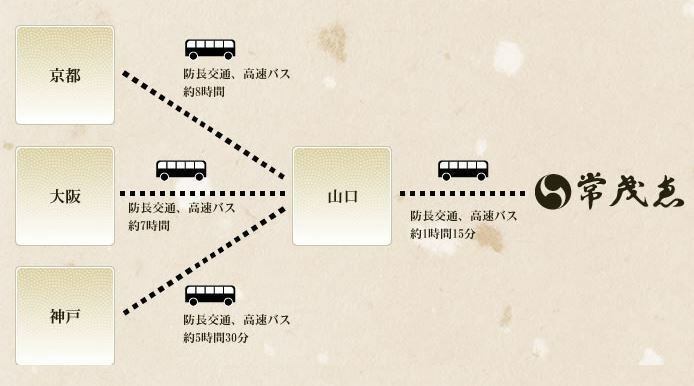 We will pick you up from Higashihagi Station · Hagi bus center. Sorry to trouble you, but please make a reservation in advance or contact us at the arrival of the station / bus center. We will also send you back to the station / bus center after checkout. We are operating a taxi ride to Ube Airport. If you wish to contact us please contact us TOMOE or contact below. Guests are requested to use the free parking facilities free of charge for guests. 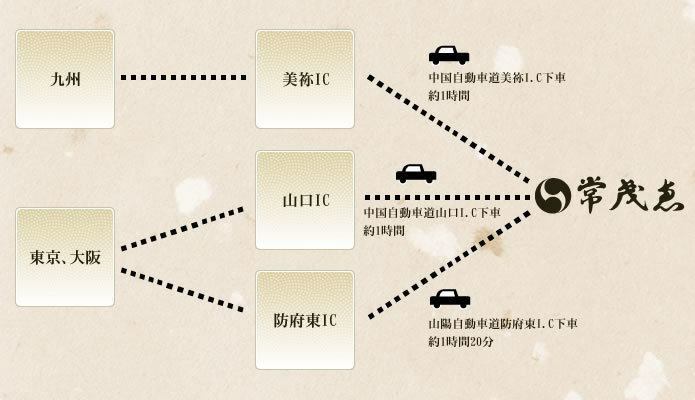 .In winter, there is a case that there is a chain regulation on national highway No. 262, so please check with road information etc. and please go outdoors. You can use from Ube Airport, JR Shinyamaguchi Station.If you wish, please contact the TOMOEPlease note that the contract time will be handled for 48 hours when it exceeds 24 hours.